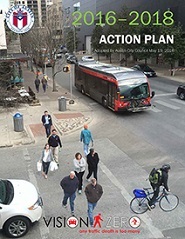 The Austin Core Transportation (ACT) Plan is an update to the 2002 Downtown Austin Mobility Plan. Since 2002 there have been significant changes in the mobility landscape, which include updated planning for different travel modes; technological updates to metered parking; and the rise of new mobility services. This update will serve as a decision-making tool for transportation planning, project development, operations, and demand management, with the goal of making decisions more transparent and predictable for all stakeholders. Neighborhood block parties give neighbors a chance to connect, enjoy the public realm of the street, share information, and celebrate events together. 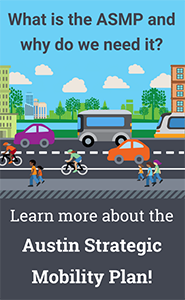 The City of Austin encourages residents and neighborhood groups to organize block parties on their nearby residential streets through the program application process. Vision Zero is an international movement that aspires to reduce the number of people who die or are seriously injured in traffic crashes to zero. Typical Vision Zero programs contain five strategic elements: education, engineering, evaluation, enforcement, and policy.